As going fast on a bicycle essentially involves overcoming air resistance, cyclists have been devising ways to lower their drag for years. 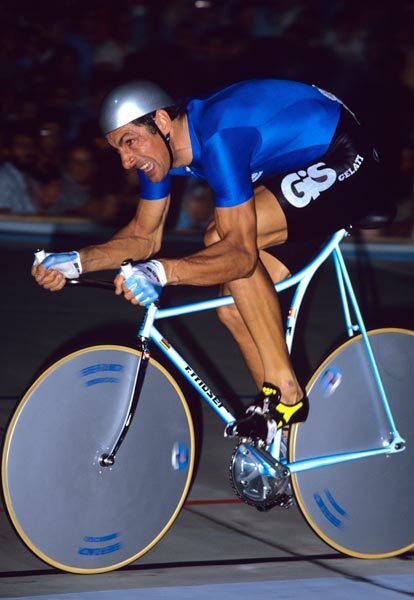 The Victorians came up with a disc wheel but it was another 100 years before they were light enough (not made of sheet metal) for Francesco Moser to use two of them in his hour record in 1984. In the early 1980s Columbus produced some teardrop-profiled tubing called Air, which Cinelli’s Laser Project bikes used to striking effect. Around this time ‘funny bikes’ with downward sloping top tubes, small front wheels and bullhorn bars wobbled onto the scene. 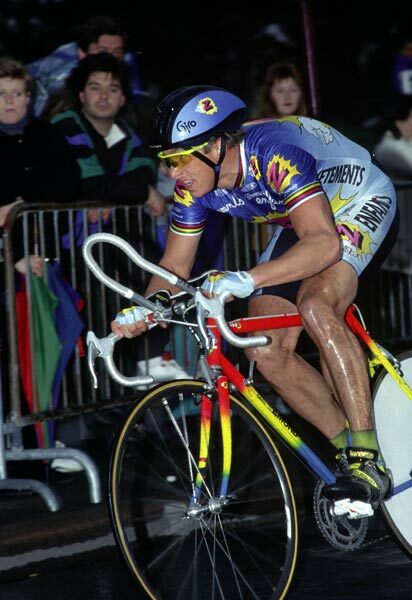 At the end of the 1980s tri-bars helped Greg LeMond win the Tour, and since then these have been probably the defining feature of a time trial bike. 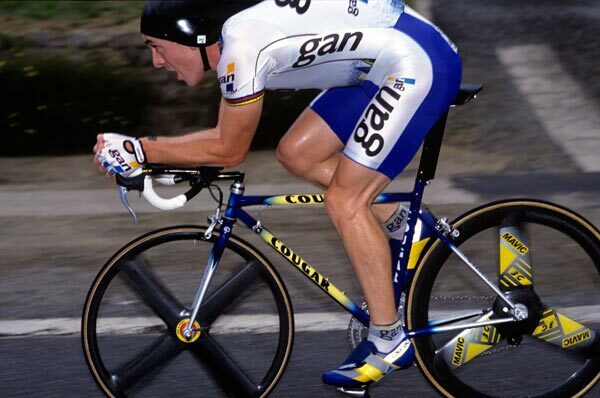 In the 1990s with the advent of carbon-fibre, it was possible to create very aerodynamic frame shapes. 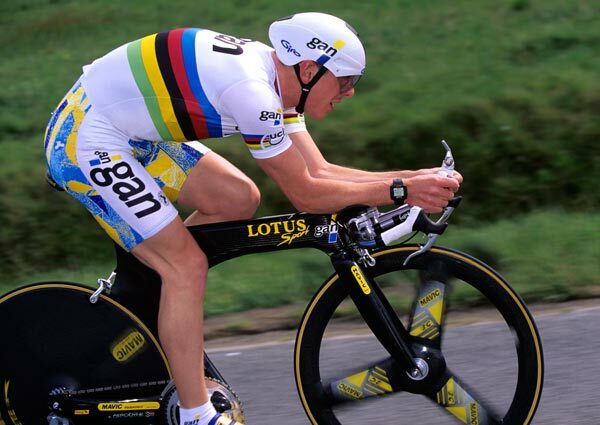 In 1992 the iconic Lotus superbike became much more famous than the laconic Liverpudlian who rode it to Olympic gold. 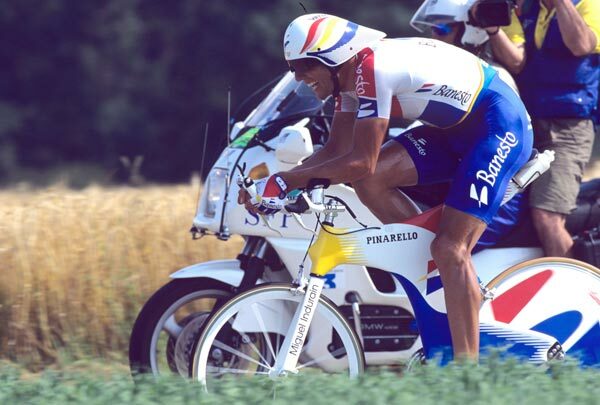 Strong, silent Spaniard Miguel Indurain piloted the Pinarello Espada, a bike based on the Lotus design, to victory in multiple Tour de France time trials while Chris Boardman, now a pro with GAN, used a roadgoing version of the Lotus and then a monocoque frame made by innovative British company Hotta to win a clutch of prologues. In 2000 the UCI changed the rules to outlaw monocoques, and ever since frame designers have been forced to find ever more ingenious ways, particularly since the UCI decided to enforce the 3:1 aspect ratio rule in 2009, to reduce the wind drag of the diamond-shaped frame. 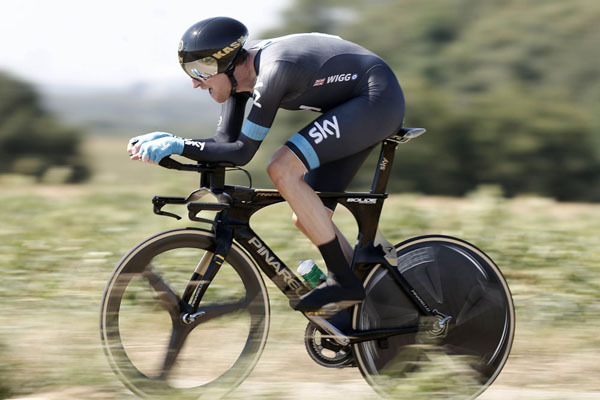 Despite Cycling Time Trials’ regulation 14(h), which prohibits “wind breaks or other means of reducing air resistance”, all of the above bikes (even the track bikes provided they have a front brake fitted and reverse-threaded lockring on the sprocket) would be legal in CTT time trials, as long as they use the correct front wheel and the rider does not adopt the tuck or Superman position. 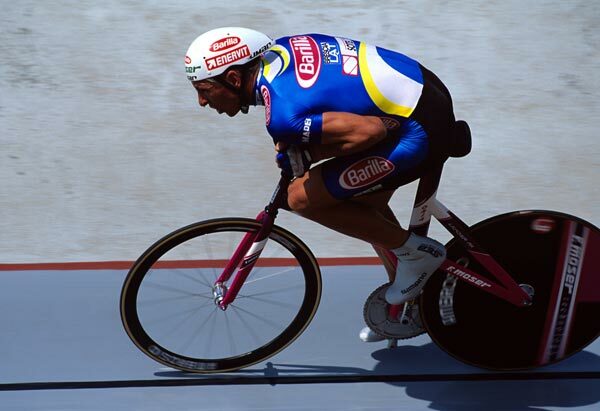 Francesco Moser’s track bike used a similar frame gemoetry to his time trial machine of the era. Note the double disc wheels.